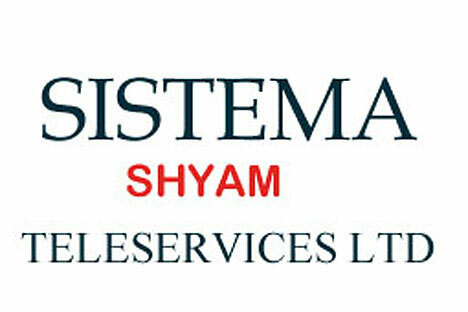 Prime Minister Vladimir Putin has signed a decree to buy a stake in Sistema Shyam Teleservices Ltd. (SSTL) worth $600 million, without specifying the size of the stake. The document was posted on the Russian government’s website on 8 August. This is less than the $676 million initially envisaged for the stock purchase in the 2010 federal budget. Putin’s spokesman, Dmitry Peskov, does not know why the amount was changed. Putin ordered the Federal Agency for State Property Management (Rosimushchestvo) to sign an agreement with SSTL for acquiring the company’s shares at 49.31 rupees per share, and to manage the stake. The money is part of India’s debt owed to Russia and the USSR. Under an intergovernmental agreement signed in the autumn of 2007, Russia shall invest the funds in joint ventures in India. The Russian government will buy less than it initially planned, meaning that the Indian operator will issue less stock, speculates Julia Belous at AFK Sistema, which controls SSTL. This also means that SSTL’s Indian shareholders will buy fewer new shares, she added. Sistema’s Indian partners have to participate in SSTL’s new share issue, as local laws oblige Indian shareholders in telecom companies to control at least 26% of stock (currently, Indians control 26.3% of SSTL’s stock). According to the resolution of SSTL’s general meeting in December 2009, Indian shareholders will be able to buy the company’s new stock five times cheaper than Rosimushchestvo for 10 rupees per share. As a result, Russia will get 17.63% (at yesterday’s exchange rate of 46.65 to the US dollar), while Sistema will have 56.2%. The government would get 17 to 20% depending on the exchange rate, Ms Belous confirmed. In all, SSTL will get some $642 million from Rosimushchestvo and Indian shareholders (at yesterday’s exchange rate). Sistema will use the money to expand its EV-DO Rev.A mobile broadband coverage, also extending its mono-brand retail stores in the Indian telecom circles covered by it, and starting businesses in new districts (currently, SSTL is present in 12 out of the 22 telecom circles). Meanwhile, it is not without reason that Russia is prepared to pay more for the stock. Part of Putin’s decree was not disclosed. In it, Rosimushchestvo is told to sign an agreement with Sistema obliging the latter to buy the government’s stake in SSTL in five years’ time at market value or for $600 million plus a fixed interest, according to a source close to the deal. This confirms what Vedomosti learned from a Finance Ministry official earlier, except that he was speaking about a fixed price rather than the interest. Yet, neither price nor interest were specified by the sources. Earlier, a manager at a large telecoms company spoke about a dollar-denominated interest rate of 5 to 9%. A new meeting of SSTL shareholders will be needed to close the deal as the December resolution on the new share issue has already expired, according to Julia Belous. The terms of the issue will have to be revised, too, due to the lower transaction value. This could also affect the permits of India’s Foreign Investment Promotion Board and the Reserve Bank of India, and they will have to be requested again, she warns. SSTL’s minority shareholders agreed with management that not only Shyam Group, which has a 23.79% stake in SSTL, will be allowed to take part in the new issue (as was planned earlier), but other minority shareholders as well, according to a minority stakeholder in SSTL. He said they would be allowed to buy one share for every three owned by them, at par value. Over 6 million subscribers in 12 out of India’s 22 telecom circles. Shareholders: AFK Sistema (73.71%) and Shyam Group (23.79%).